Why the whole Christmas blogging thing? Simply put…It’s because I love Leah! No seriously! You see…Leah loves Christmas! She loves it! She likes sparkly snowman ornaments, decorating Christmas trees in November, hot chocolate, wrapping empty boxes for display, and so much more. What do I like? I like Christmas cookies. As I reviewed my 2007 year, which was a great year by the way, I found that I didn’t really get in the “Christmas spirit”. This year, I want to make sure that I do. I want to make sure that I’m right alongside Leah as we find empty boxes to wrap, as we bake pine cones and put sparkly glitter stuff on them (Oh yeah…we’ve already collected over 100 of them this Fall), as we shop for the perfect tree, as we dress one of our friends up as Santa for a photo shoot, and as we bake Christmas cookies for the neighbors. I like to blog. 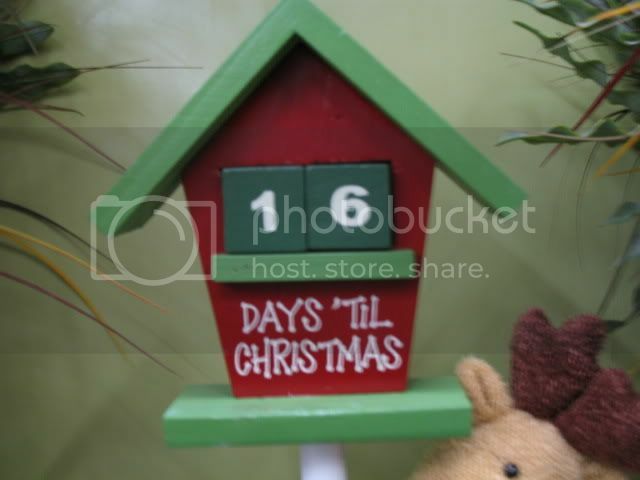 What would be better than documenting the 25 days leading up to Christmas? If I don’t get into the Christmas spirit by doing that, then I don’t know what to tell you. So…Some of you will probably call me a dork. Probably true, but I don’t care. Some of you will boycott my blog. I don’t care. Some of you will throw sharp objects at your computer screen. I don’t care, but I think that’s dumb. Some of you will read my blog no matter what. Thanks mom. Some of you will get into the Christmas spirit with me, and THAT…makes it A SPARKLY CHRISTMAS MIRACLE. I’ll still blog about random stuff that no one cares about, church stuff, family stuff etc…, but each day it will just have a Christmas flavor or twist to it. Tons of videos. Leah will be making her blogging debut in December as well! She will make a great bloggererer. Why? Because she is one of the smartest and most talented people that I have ever met, and she doesn’t say stupid stuff like “bloggererer”! Now scroll down and check out my Rockband 2 video that I posted last night!